Joanna Lawn brings over 20 years of experience in banking and corporate finance. NZX Ltd., the only registered securities exchange in New Zealand, has announced the appointment of Joanna Lawn as new Head of Listing effective Monday 18th September 2017. She will be based in NZX’s Auckland office. Joanna will report directly to CEO Mark Peterson and will be responsible for leading the listing division of the exchange. She will focus on building relationships with existing and prospective equity, debt and fund clients, the promotion of products and services at NZX, and support the broader growth of the New Zealand’s capital markets. Joanna Lawn will join NZX from ANZ, where she is currently in the position of Head of Business Management. 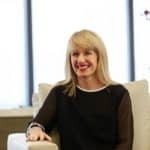 She has over 20 years of experience in the financial market working in New Zealand, Australia and the United Kingdom in various senior management positions. She has expertise in strategy building, developing client relationships, business processing and performance, and transaction experience. Prior to joining ANZ, she worked at Deutsche Bank in the position of Vice President and at Lazard Brothers & Co in its financial market and corporate finance team. Recently NZX has witnessed many changes in its senior management, with the appointments of David Flacks and Frank Aldridge and the departure of CFO Bevan Miller.